Back pain is a serious issue that is often overlooked and underrated. The problem is very real and according to a study, lower back pain affects “nearly one in 10 people across the globe” (dated March 25, 2014). While it may seem like a minor nuisance, it can lead to severe consequences, including disability, if left untreated. But why wait for problem to surface when you can proactively reduce the risk of getting a back pain? This is where Katherine Krug’s BetterBack comes in. The product name pretty much tells you what it does and that’s to offer you a healthier back, achieved through a good sitting posture. The best part is, with BetterBack, you are not bound to any chair. In fact, it don’t even need a chair as you can also use it while you seated crosslegged on the floor doing your regular meditation or whatever it is that you do in that position. 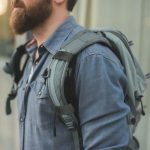 It zips itself into a portable package which you can stash inside your backpack. BetterBack is a wearable. It is made up of a breathable, perforated mesh back pad that goes around the back of your lower back and knee straps that extends from either side to your knees. BetterBack leverages on your knees to create the tension required, which is adjustable by tucking on the knee straps. 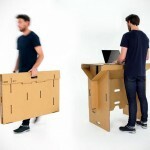 So, it is also a one-size fits all solution to a good sitting posture. 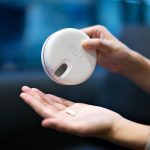 And when you are done with it, it zips itself into a portable package which you can then throw into your backpack and bring it to wherever you go. Now, you can’t do that with a thousand dollar ergonomic chair, can you? That’s one of obvious draw of BetterBack. Additionally, in the process of getting you to sit right, it also trains your posture muscles, focusing beyond lumbar spine to stabilize your pelvis that would eventually restore your spine’s natural curvature. 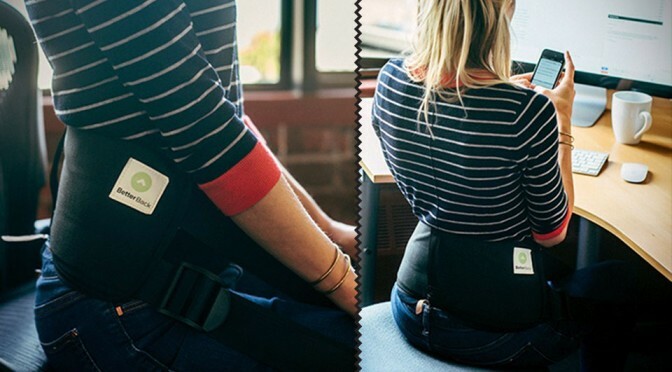 BetterBack claims that wearing it for 15 minutes a day (but you can wear it as you see fits), it will help you to retrain your default posture, so when you stand or sit without BetterBack, your posture will be greatly improved. 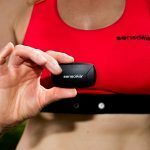 If BetterBack sounds like something you could use, then you might want to consider pre-ordering one via Kickstarter. Early backers only needs to drop 45 bucks for one. If you’re slow to act, it will run you back at 75 dollars a pop. And oh, there’s no need to worry about the funding outcome. BetterBack has around 20 something days to go, but the campaign is well over 3,000% (not a typo) funded with nearly 6,000 behind its back. We suggest you catch the video below to learn more and no, it is not a “As seen on TV” video.